All a developer needs to View, create and manipulate Adobe PDF files our extensive 32/64 bit Windows Libraries. Comprehensive Doc's and Examples. Creates impressively small files from a multitude of input sources, Text, Objects and image types. Convert directly from any of the supported Image format files (BMP, DCX, GIF, JBIG, JBIG2, JPEG, JNG, PCX, PNG, TIFF & AMF/WMF/EMF) to PDF. 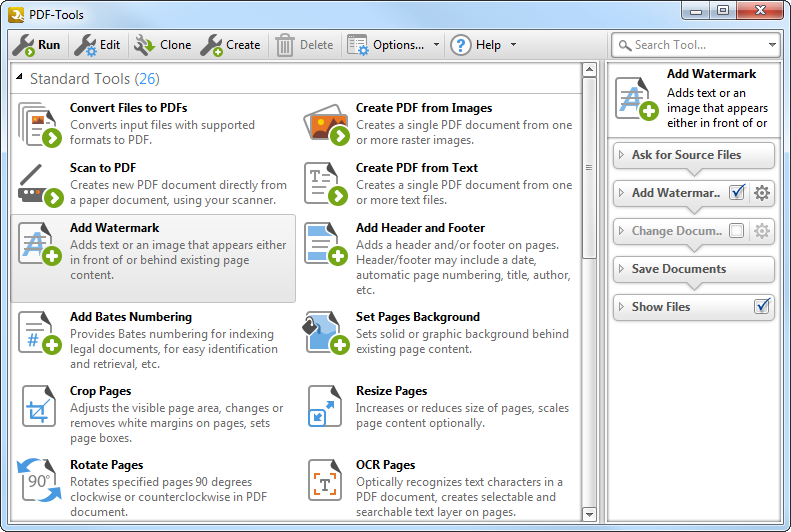 Merge existing files, Extract pages or images, Delete pages, Create and Edit Thumbnails, Bookmarks, and retrieve page count and File properties from these PDF files; re-number pages (i.e. after merging multiple files). FTP your Files to a Server; HTTP - Post files to a Server. Crop, Rotate, Scale pages, Add Watermarks. Digital Signatures; Add/Modify Security with both 40/128 Bit & AES encryption supported. NEW-Adobe Acroform creation for dynamic data entry via an enabled PDF Reader. Low Level API for advanced functionality.